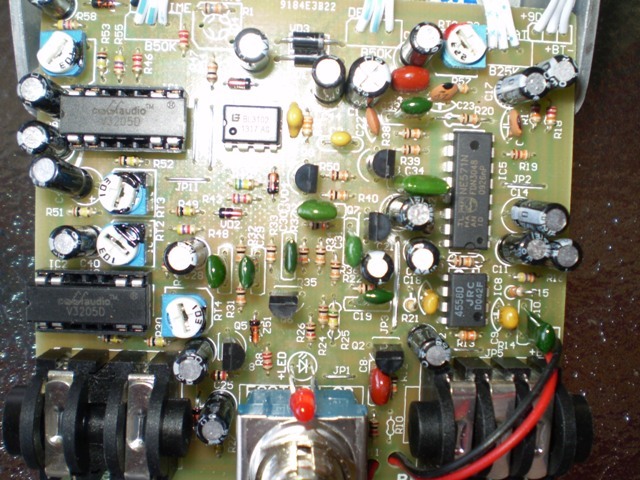 The word "Analog" get tossed around pretty freely these days when it comes to delays, and even though some may say Analog on the face of the unit, it is very likely to be a digital chip and just "Analog sounding." Some of the "Digital-Analogs" sound very good, but still a bit of a play on words and not representative of what truly is inside. The RT-2 is a True BBD delay which features a true DUAL Cool Audio BBD chip set. A solid build and supplies a tonal delay/repeat response that only BBD can. A little dark and very musical from slap back to haunting repeats. Solid build with a good tonal response. For sure worth a look at a great price. You won't find too many true BBD delays at this price point. The RT-2 Analog Delay is a classic analog Bucket Brigade Delay with that warm, haunting reverb and tape-like echoes. 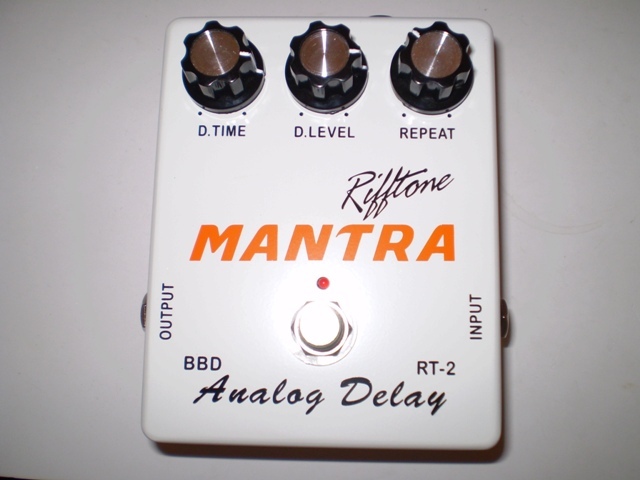 This analog delay pedal is able to produce delay times ranging from 20 to 600 Milliseconds. This effect draws a lot of current so a power adapter is recommended for consistent performance. 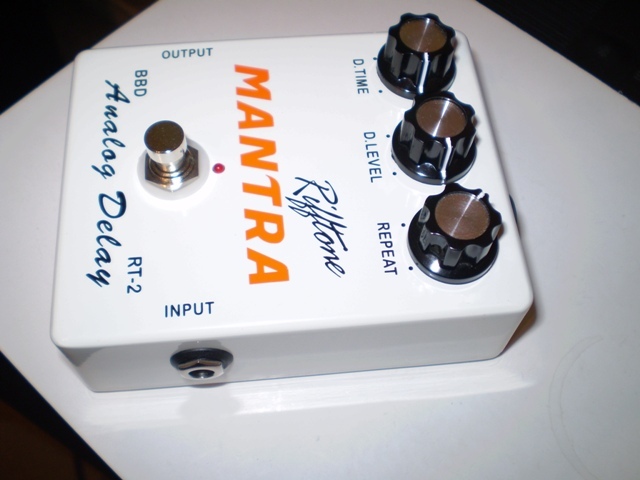 The 3 concentric knobs control functions of REPEAT, D-LEVEL,D-TIME, and the echo response of this delay pedal offers several options for tonal tweaking. Enclosed in an all-metal chassis, the RT-2 is highly durable and built to withstand what you give it. Another great entry from Rifftone!! True Bypass means that the input jack is connected directly to the output when the pedal is switched off. The sound coming in is totally unaffected by any filter or circuitry.